The amulets are objects that can be very useful for people to attract good energy to their lives. According to this and the month in which a person was born, it needs to be known that there exists an amulet for each horoscope. 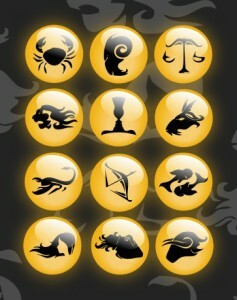 If you want to know which the lucky amulet for your sign is, you just need to keep on reading. For Aries, the best amulet is the one that has a cosmic turtle as it offers them stability. The amulet for Taurus is the basil silver. This helps people of this sign top have a better control over their lives. The amulet for Gemini is the image of the Owl. This amulet will bring them wisdom. The blue eye is for Cancer and it protect the person from curses. The image of the Sun is the amulet for Leo, as it gives him the strenght of the sign. Birch is the amulet for Virgo and it gives it good energy in the sad moments. Libra uses laurel to change his situations from bad to good. Scorpion uses the amulet of the snake to have wisdom. Sagittarius uses the key with which he collects the bad mental vibrations. Capricorn uses the figure of the frog to attract abundance and stability. Aquarius has the amulet of the pyramid to get enthusiasm. Pisces, finally, uses the symbol of the fish to attract abundance and happiness to his life. As a recommendation of usage, it needs to be known that these amulets have to be very personal and that they can only be used by a single person. Finally, to load them with good energy, it is necessary to put them under the Moonlight during the night.